Tables in Excel VBA - Explained with Examples! 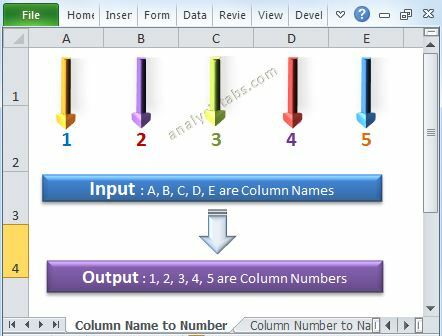 Home/Excel VBA/Tables in Excel VBA – Explained with Examples! Managing the data with Tables is very easy in Excel. We can do lot more things if your data is in the form of tables. In this section we will show some of the Tables operations using Excel VBA. Sometimes you may want to create Tables in Excel VBA. 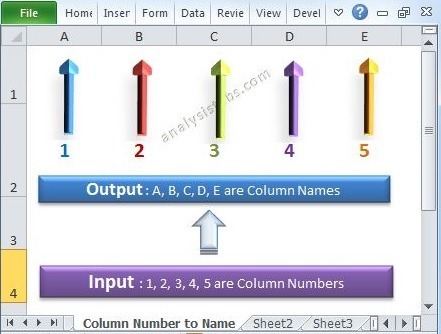 Please find the following code to Create Tables in Excel VBA. 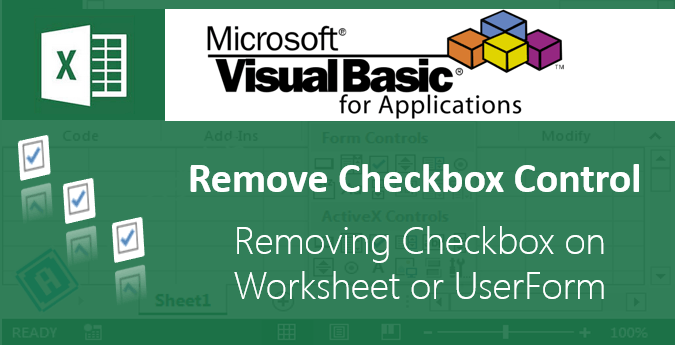 You can use ListObjects.Add method of sheet to create tables in excel VBA. We can create table in the following way. The following code creates a table “myTable1” and referring to sheet1 of a range(“$A$1:$D$10”) . Sheet1.ListObjects.Add(xlSrcRange, Range("A1:D10"), , xlYes).Name = "myTable1"
If you want to Reset the table back to original range, you can use Unlist property of table object. Following code will show you how to remove table formats and reset to normal range. 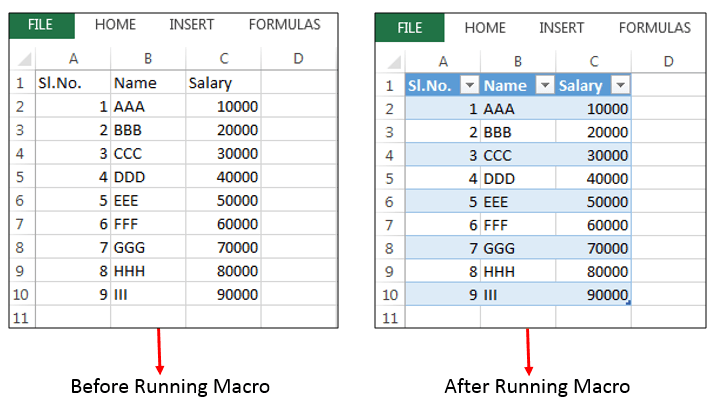 Examples for Sorting Table in Excel VBA with using sort method of ListObjects. You can learn how to sort table with examples. 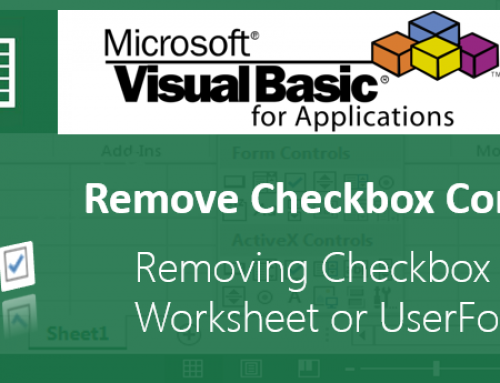 You can use sort method of ListObjects for sorting table in Excel VBA. We can do sort data in the following way. Sometimes you may want to Filter Tables in Excel VBA. 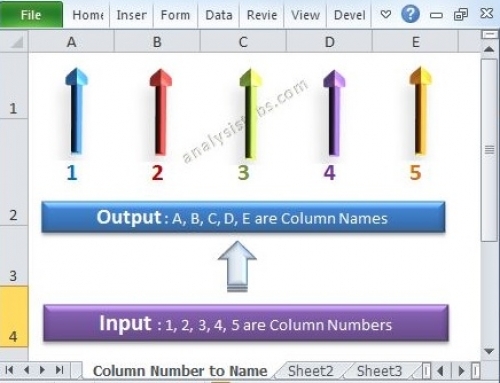 Please find the following code for Filtering Tables in Excel VBA. You can use ListObjects(“TableName”).Range.AutoFilter method for Filtering tables in excel VBA. We can filter table in the following way. The following code filters a table “myTable1” and referring to sheet1 of a range(“$A$1:$D$10”).In this Case I am applying filter for second column and looking for description “DDD” in a table. Examples for Clear Toggle Table Filters in Excel VBA with using FilterMode Property and AutoFilter method. You can learn how to Clear Toggle Table Filters in Excel VBA with following example. 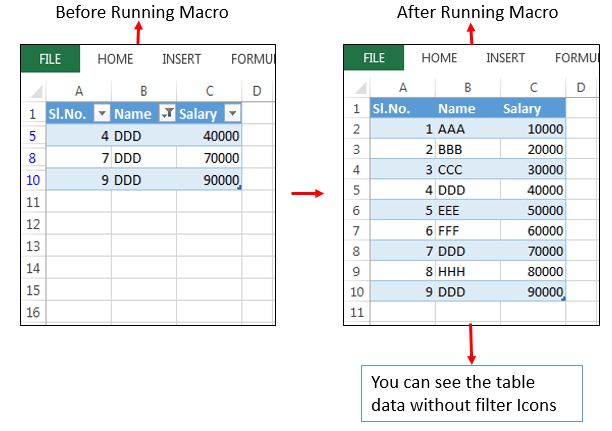 You can Clear Toggle Table Filters in Excel VBA with using FilterMode Property and AutoFilter method in Excel VBA. We can do Clear table filter in the following way. 3) Sorting the new sheet data every time data is added and removing duplicates based upon one field being used as a key. I am sure I will run into all this, but you folks were off to such a great start of the information being clear and collected in one place, I wanted to place the suggestion, provided you ever have the time! Thanks for your suggestion, I will add these in couple of weeks. 2) open the file created in #1 and create and name table. The range of data is unknown. 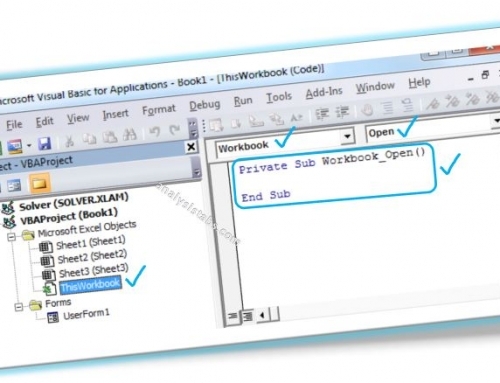 3) open the pivot table which will refresh automatically using the named table created in #2. I got this far – how do I change the defined range to a dynamic range and do I need the last line? If all the data on this sheet will be inside a listobject, you can use ActiveSheet.UsedRange property. Instead the Range() object. I need to filter my table everytime data changes. In your example, you filter “DDD”. In mine, I want filter all options except zero/blank cells of a range, i.e., its like excluding “DDD” and leave remaining data. please help me changing code for that. This has been very helpful! 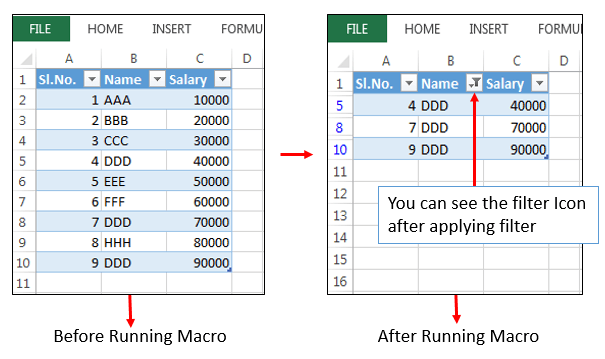 I needed to create a macro to turn a dynamic range into a table, sort by a specific column, & filter the table based on that same column name. This page had all the information I needed. I look forward to checking out the other areas of your site. working for year with VBA now 2013 comes with tables which is awesome! Yes, Tables or ListObjects in Excel are very handy to deal with the data. We can perform many operations and its fast. How to create a table without default auto filter and header.